I'm so excited to offer my first tiled PDF pattern! As I mentioned in my last post, I'm finally teaching myself Adobe Illustrator and hopefully opening up a whole new world of pattern drafting. I'm thinking about taking this course, but I'm not fully committed yet. 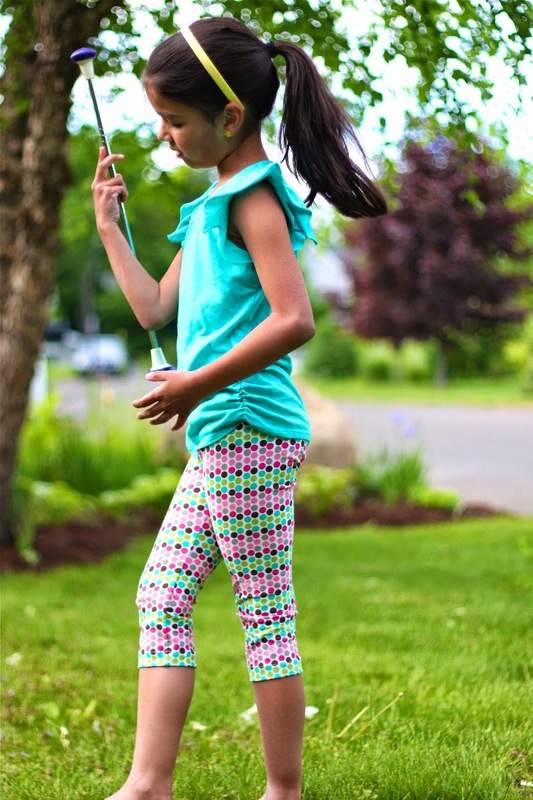 My first pattern is for girls capri leggings in size 8. Get the pattern HERE. Make sure you select "actual size" when you print. Your assembled pattern should look like this. You'll need about a yard of stretch knit fabric, and 20 inches of 3/4inch elastic. I would recommend a cotton spandex/lycra knit. The lycra keeps the pants from "stretching out". Use the pattern to cut 2 pieces that are mirror images of each other. 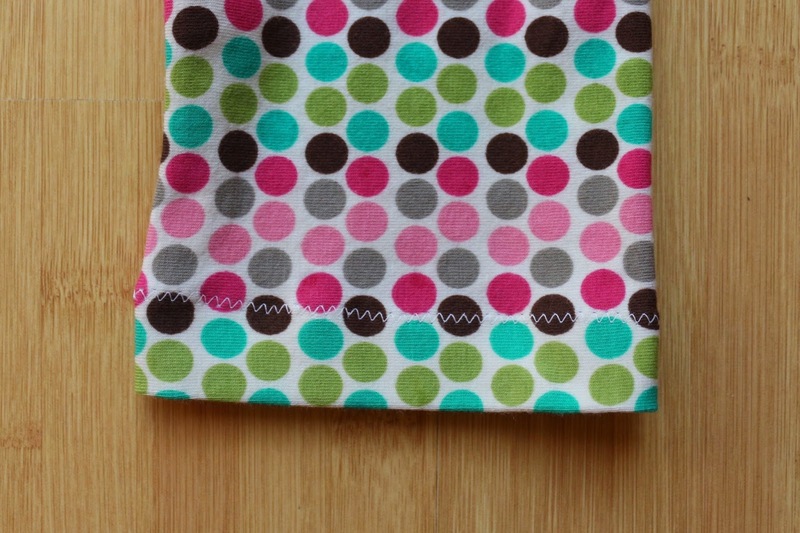 The easiest way to do this is to fold your fabric in half and trace and cut the pattern through both layers. 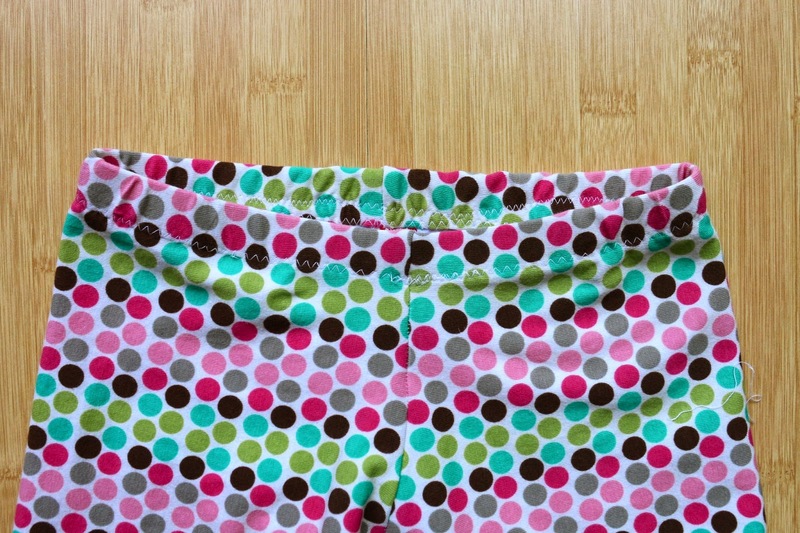 With a 1/2 inch seam allowance and right sides together, sew each piece along the leg. Turn one leg right side out and place it inside the other, so the right sides are matching. Sew along the curved raw edge with a 1/2 inch seam allowance. Turn it right side out, voila, you've got some capris! 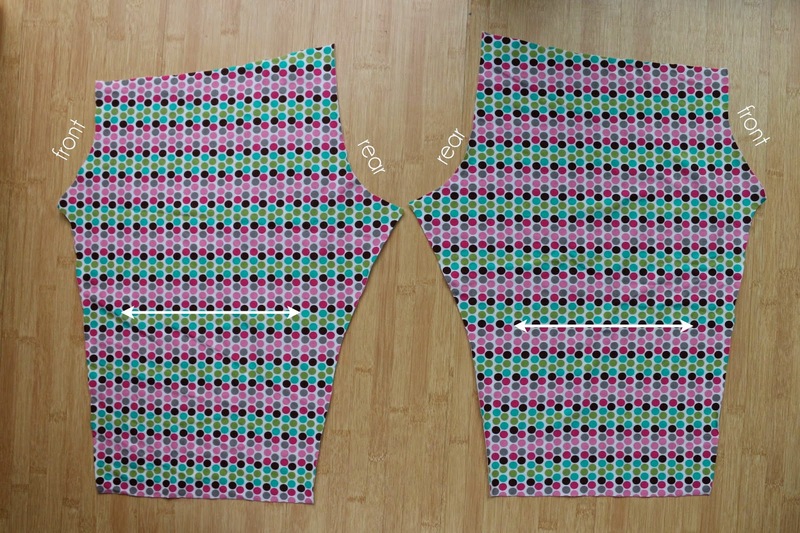 Turn each leg hem under by 1/2 inch and sew with a zigzag stitch. Cut a piece of 3/4inch elastic to be 20 inches. Sew the ends together (overlapping about 1/2 inch) to make a loop. Mark the halfway points on the loop and match and pin those points to the front and back seam, on the wrong side of the top edge of the capris. 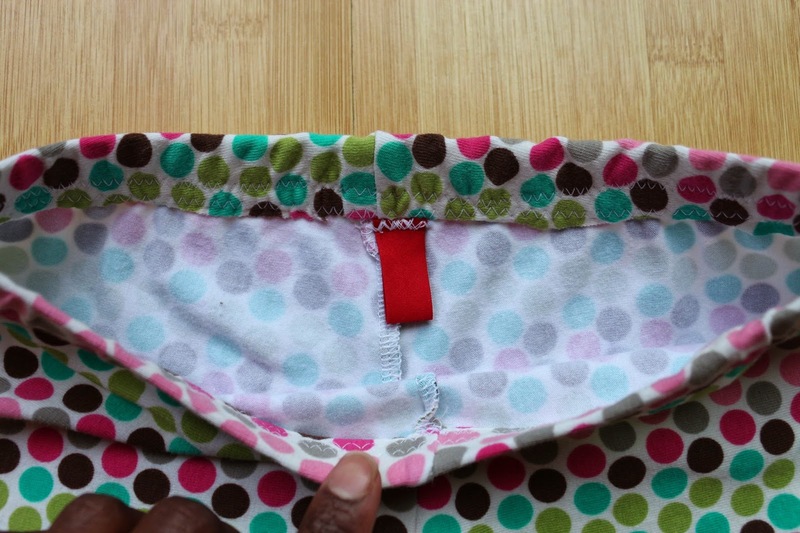 I like to pin the elastic so that it sits flat in the front and then stretch it as I sew it along the back. 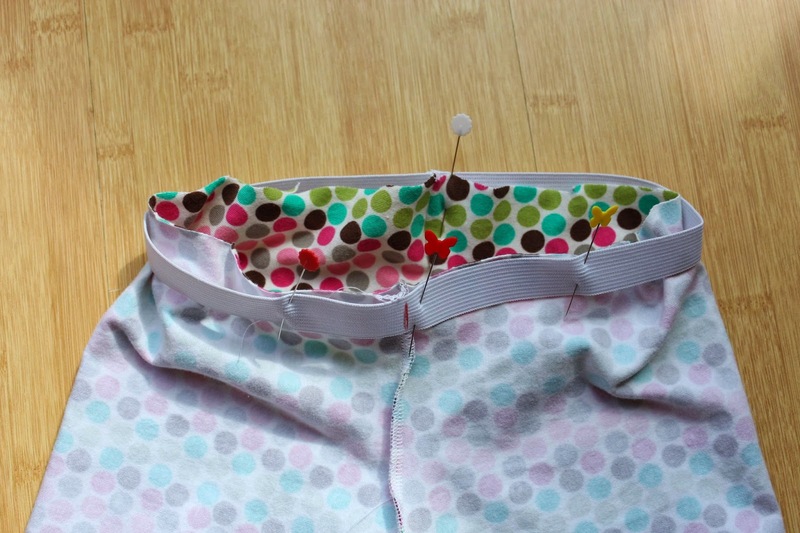 Sew the elastic in place with a zigzag stitch. You can see here how I didn't stretch the elastic in the front, but did in the back. 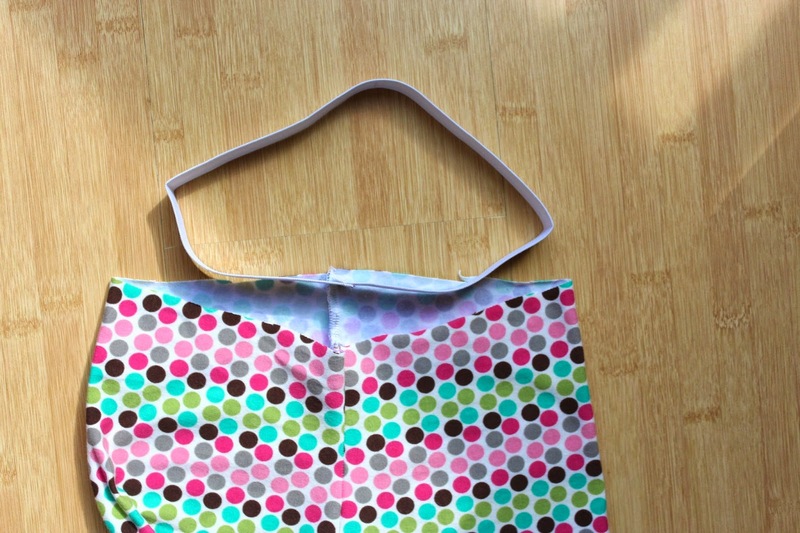 Fold the elastic to the inside and sew a zigzag stitch along the bottom edge of the elastic/fabric. 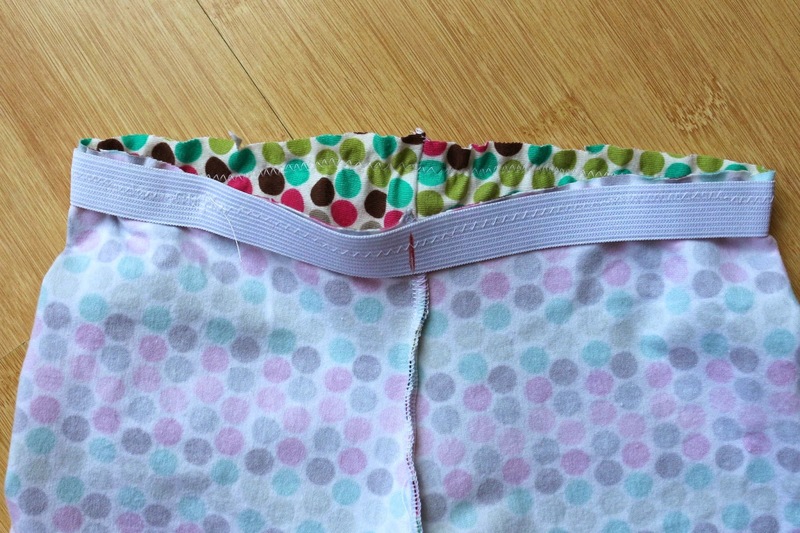 I like to sew a little piece of ribbon into the seam in the back since for whatever reason, my kids can never seem to tell the back from the front on these kinds of things. I will be making lots more of these for sure! This pair took me probably 30 minutes or less start to finish. Cute and comfy. Perfect for a little baton practice in the yard. 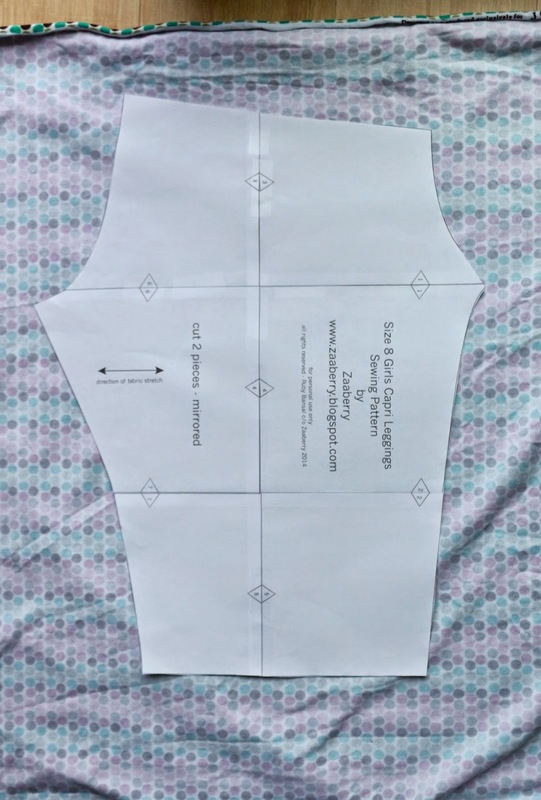 Let me know how if you give my pattern a try and how it comes together. This is my first tiled pattern and I'm sure it's not perfect and could use some tweeking. will definitely be making these! thanks for sharing the pattern! Perfect size for my daughter - can't wait to try it out when summer vacation behind! Thanks! 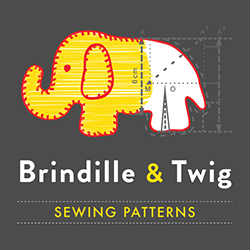 I've taken the Pattern Workshop course and highly recommend it! I love the way you sew the elastic waist! Thanks!!! Thanks for sharing. May I ask where your bought this cute dot knit print? Preciosos, muchas gracias por el patrón, lo haré seguro. Cute! Your daughter looks pretty petite. 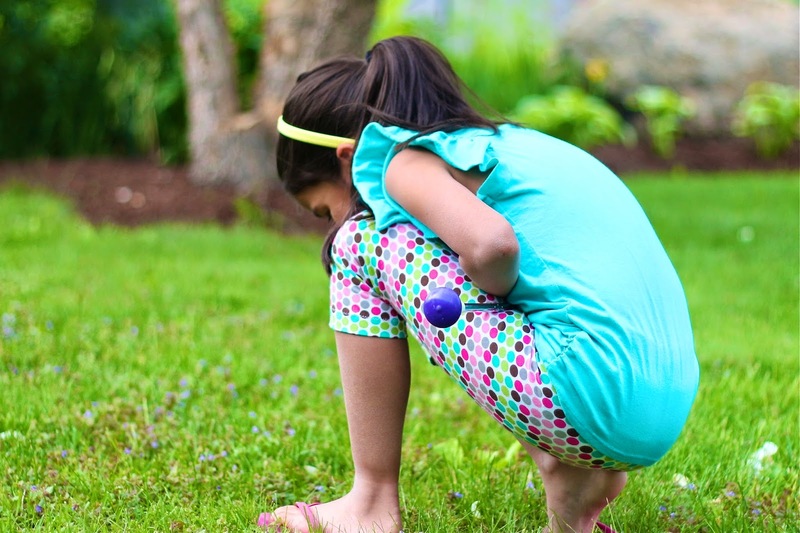 My daughter is a size eight, but has a more athletic build. What are the suggested person measurements for your size 8? Hi Amber. 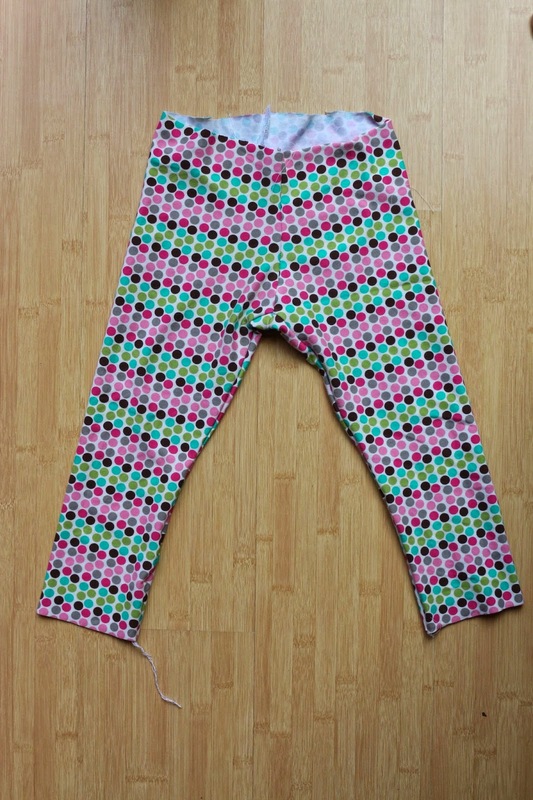 I based my pattern on a pair of Old Navy capris that are a size 8. She's at school now, so I don't have measurements, but I can tell you she's pretty much average as far as weight and height. Sorry I can't give you more info.